Beautiful top floor Jackson Village condo which was recently renovated with new paint and carpeting though out. 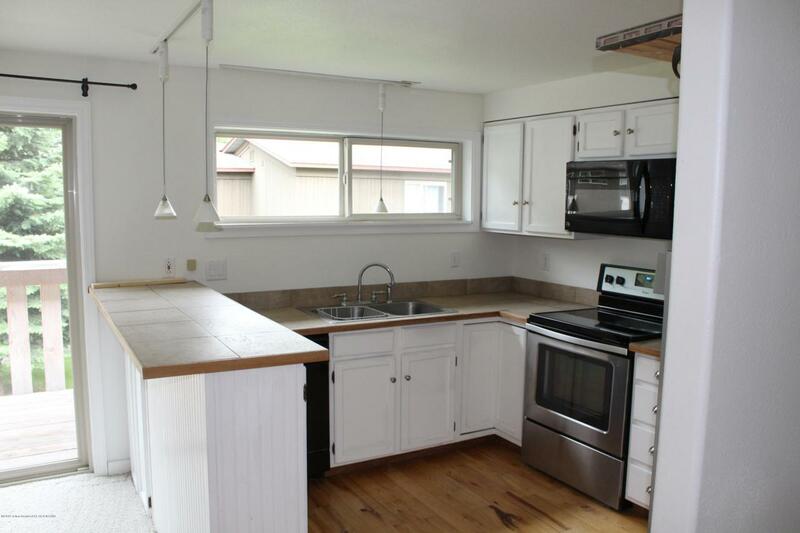 It also boasts wood floors in the kitchen with upgraded fixtures and new windows. This unit is south facing and offers incredible light and a great view of Snow King. Great location within walking distance of all in-town amenities and recreational activities. It is occupied by a tenant that is month to month and the owner has paid off the assessment. Listing provided courtesy of Emily Figenshau of Jackson Hole Sotheby's International Realty.